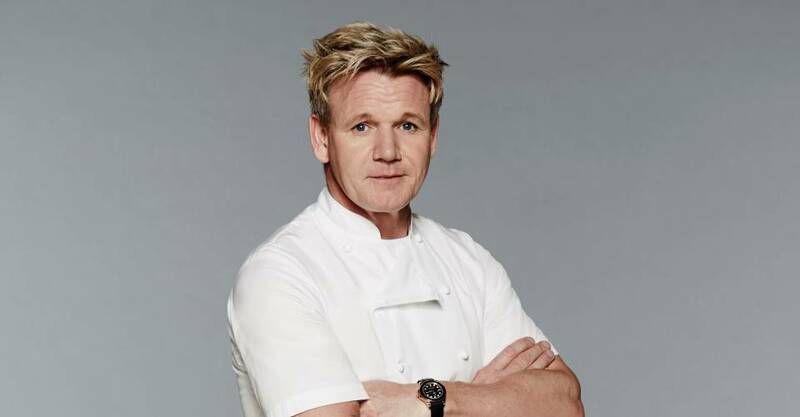 I’m not sure if I have ever divulged one of my guilty pleasures that is Gordon Ramsay, but let me just give you a quick insight to my infatuation. I love this man! He is gorgeous. He is the epitome of a leader. He’s a smart businessman, a wonderful father and husband. He just oozes appeal to me, and I will fully admit that I adore him! His children have all been on one of his shows one time or another, and they are adorable. His wife is gorgeous, and after their recent miscarriage, seeing the love and support they share for each other is awe inspiring. His television shows may seem crass with his reputable temper, but at the end of every episode, he is able to pull (and at times drag) the best out of people. I have watched at least one episode of every single show he has ever starred in. From Kitchen Nightmares to Hotel Hell, Hell’s Kitchen to Master Chef, The F Word to Boiling Point, I love his shows! As I catch up on Master Chef season 13, I am sitting here staring at this magnificent man as he shouts his tenth F bomb thinking how beautiful he is. If I mention this admiration to any of my friends or family, they all look at me like I’m crazy, but I don’t care. I’m sure he has his flaws, but from what I have seen, he is a gorgeous man inside and out. Plus, it’s a fun drinking game to take a shot for every F word he says.